Welcome your guests in the Vu private dining room, an exclusive dining area separated from the Vu Restaurant. Our private room offers a warm, elegant and intimate space that can seat up to 32 people with stunning views of New York City and the Hudson River. 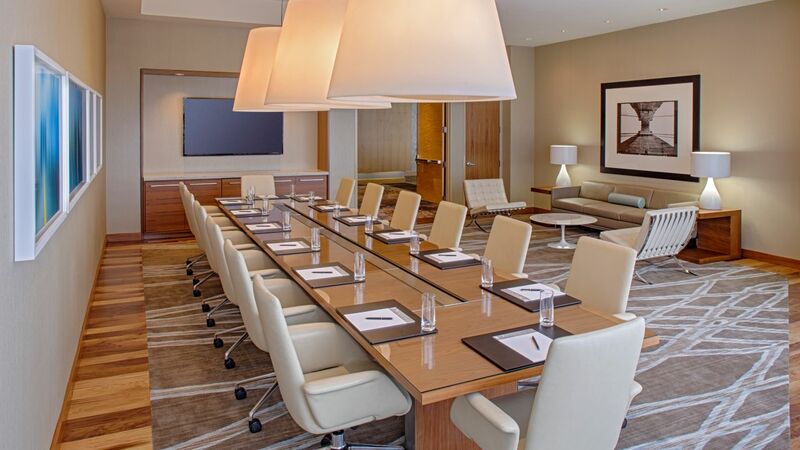 Vu can be perfectly tailored to accommodate business meetings or special family dinners. Vu private dining offers contemporary American cuisine, warm hospitality and unparalleled service. Please contact us directly for our seasonal private dining menus. 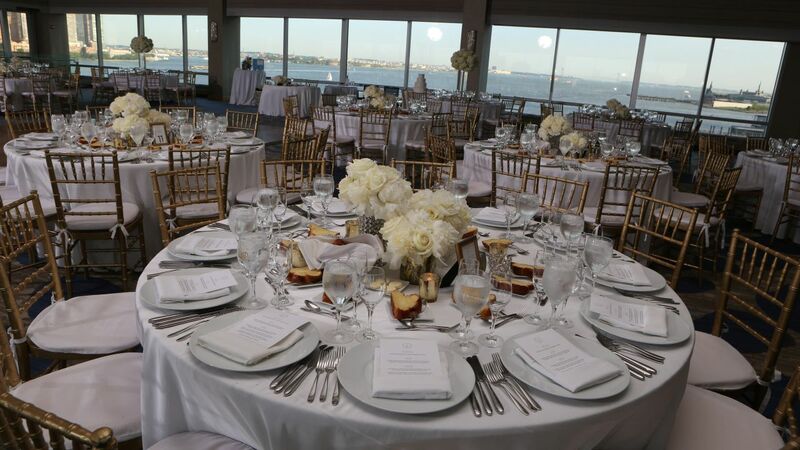 Design an extraordinary event with spectacular views of the New York City skyline, Hudson River and Statue of Liberty. 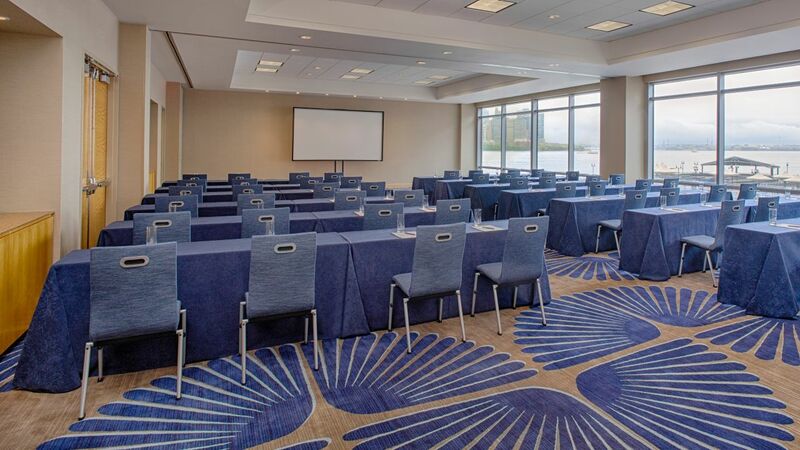 Our meeting rooms offer a variety of spaces – from executive boardrooms to exhibit halls – to suit your needs, and all have blackout shades to ensure visibility and attention. The hotel’s décor combines the energy of New York City with the serenity of our maritime setting, and our attentive staff and professional planners ensure that your event is effortlessly successful. 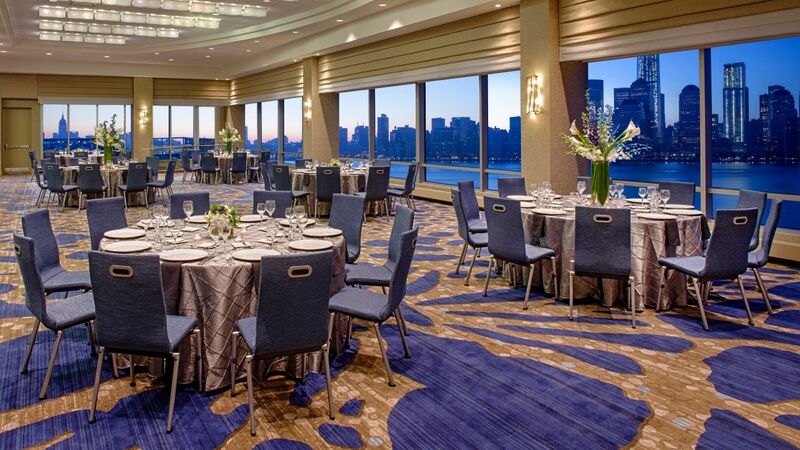 Host a stylish and sophisticated wedding weekend with breathtaking New York City and waterfront views at Hyatt Regency Jersey City on the Hudson. We are experienced in planning elegant weddings for all cultures and lifestyles and will customize an approach that reflects your style and taste. 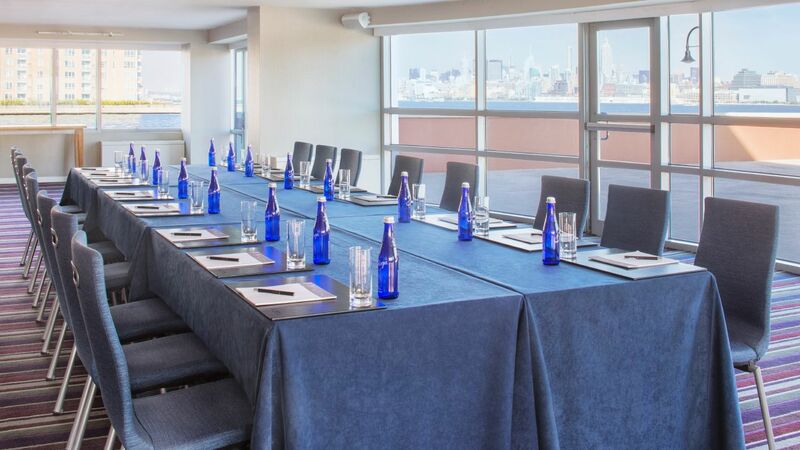 Take in spectacular waterfront views of the Hudson River and New York City from our meeting and conference rooms – then lower the blackout shades to enhance focus and productivity. Plan your next corporate, social, religious, or non-profit event at our spacious event space in Jersey City just minutes from New York City. A truly memorable event – from formal dinners to casual breakfasts – always features deliciously tempting food and drink. 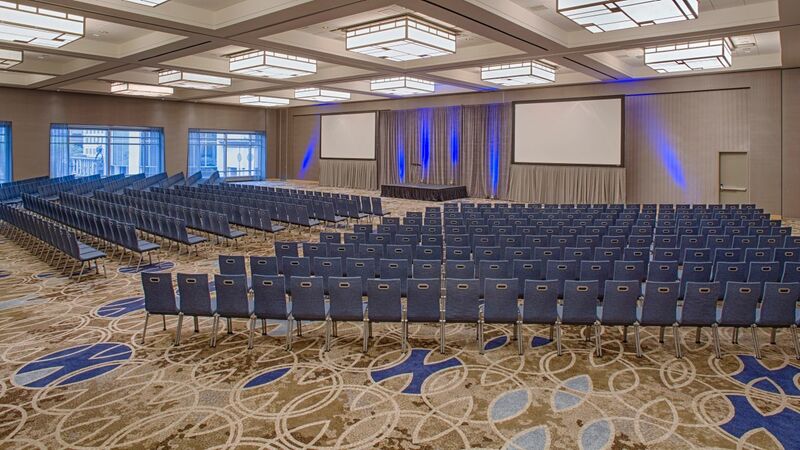 For small meetings or large conferences, the Hyatt Regency Jersey City on the Hudson will keep your guests energized by accommodating all your catering needs. Once you've dazzled your guests with awe-inspiring views and incomparable service, they will expect cuisine to match – and our extraordinary catering team delivers. 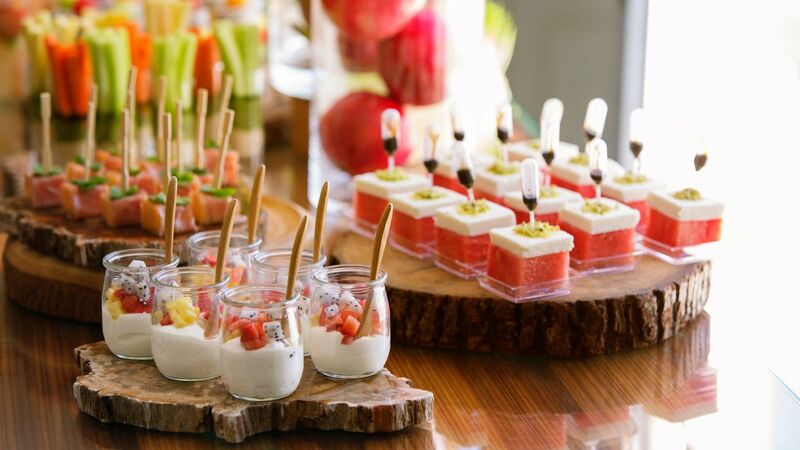 Whether a sumptuous breakfast buffet, a healthy lunch to fuel an energetic afternoon, or innovative hors d’oeuvres during your cocktail reception, our chefs will exceed your expectations.